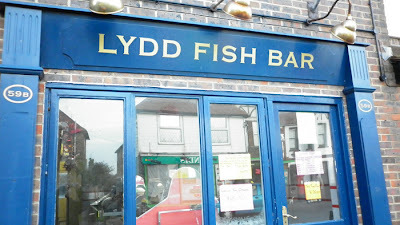 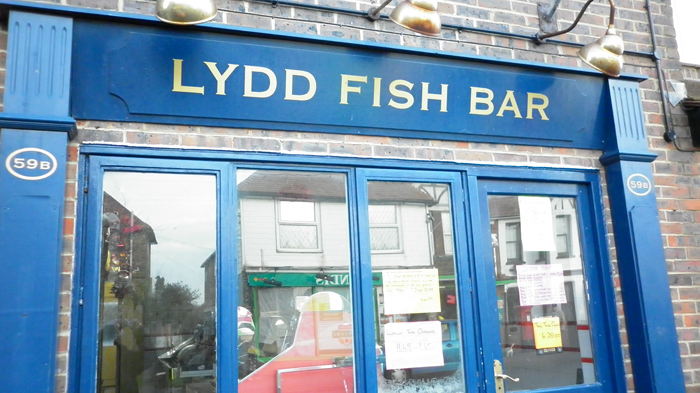 There are a range of take-aways and restaurants, for guests to choose from, in Lydd. 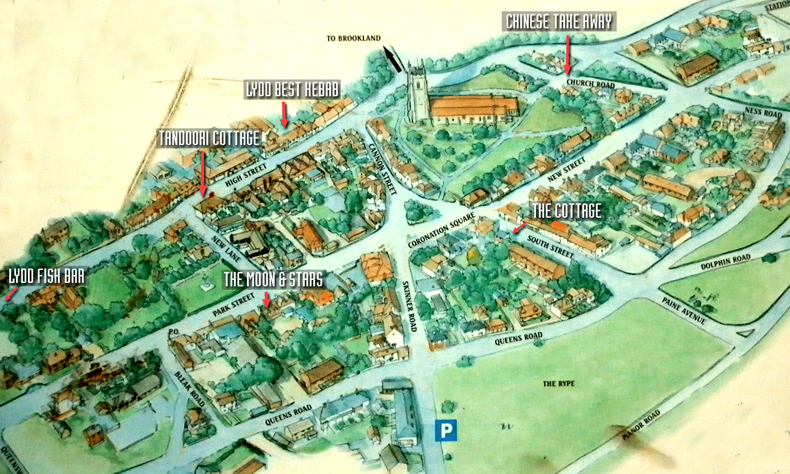 Click on the map for a larger version showing their locations. 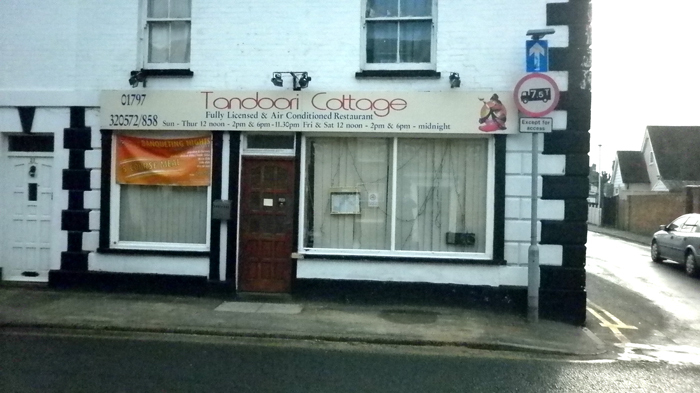 The Tandoori Cottage is in the High Street and the staff are very friendly and helpful. 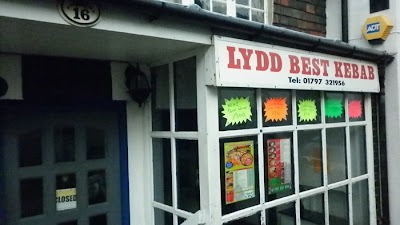 It is fully licensed and does take-aways as well. 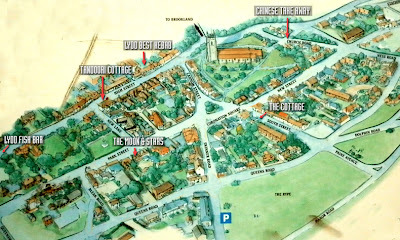 There is a Chinese take-away in Church Road, and a Kebab Shop in the High Street – but I have not tried them yet. 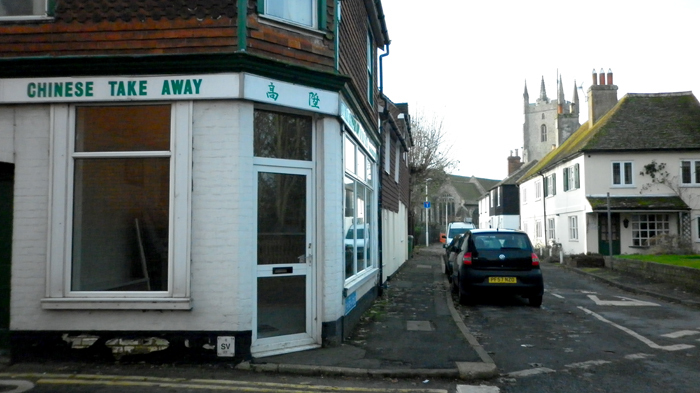 At the far end of the High Street is a good Fish & Chip Shop. 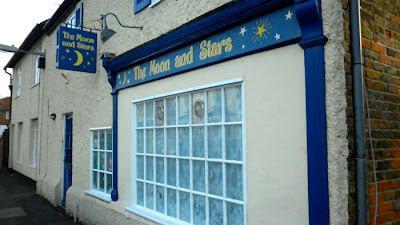 ‘The Moon & Stars’ is located in Park street and is a quaint and friendly place. This entry was posted in Local Information, Shops on May 28, 2015 by admin.